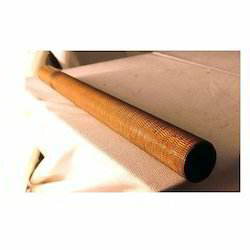 Leading Manufacturer of endcross tubes for air conditioning exchanger and aluminum brass fin tubes from Pune. We are instrumental in manufacturing, exporting and supplying a fantastic quality Endcross Tubes for Air Conditioning Exchanger. The offered endcross tubes are fabricated utilizing incomparable quality crude material according to the set quality models. Our skilled specialists fastidiously look at these endcross tubes on the grounds of execution. Additionally, we give these endcross tubes in different determinations to cater the variegated necessities of customers at a reasonable cost. We are counted among the leading manufacturer and supplier of quality assured Aluminum Brass Fin Tubes. The offered fin tubes are designed using high grade aluminum and progressive technology. Used in different industries, these fin tubes are highly appreciated by our clients. Our provided fin tubes are tested against different quality parameters. Moreover, clients can avail these fin tubes from us at nominal prices. Looking for Aluminum Brass Fin Tubes ?